Give relief to your dog and yourself from all kinds of pain! 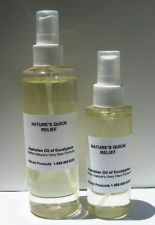 Order Eucalyptus oil for your Dogs from Healthyfoodforpets. Not intended to be used for cats.